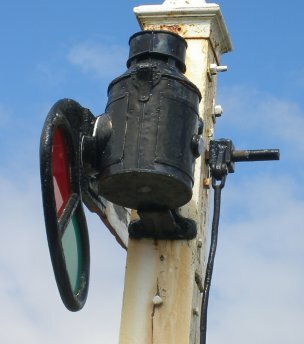 The front of the Raynar Wilson Lancashire & Yorkshire Railway Llanuwchllyn starter signal and subsidiary arm feature in many photographs of the Bala Lake, but very few show the rear of the signal. 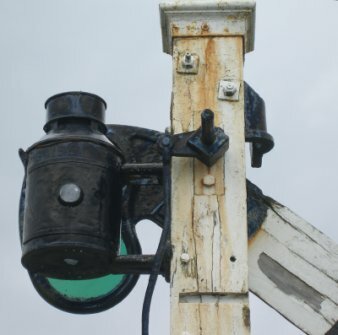 This survey included a detailed survey of the spectacle plate and mechanics. 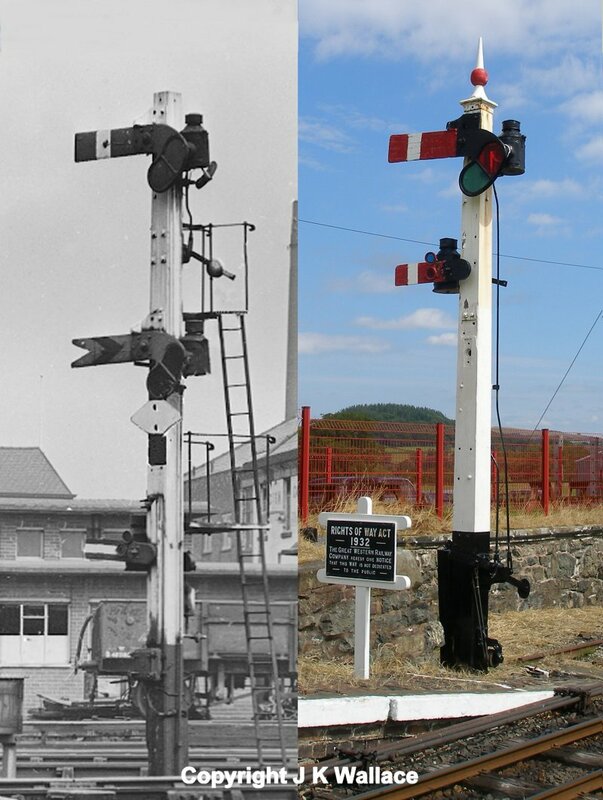 L & Y lower quadrant signal at the western end of Bolton Trinity St station as photographed on Saturday 23 April 1966, an as it was at the Bala Lake Railway's Llanuwchllyn Station on 16 July 2015. 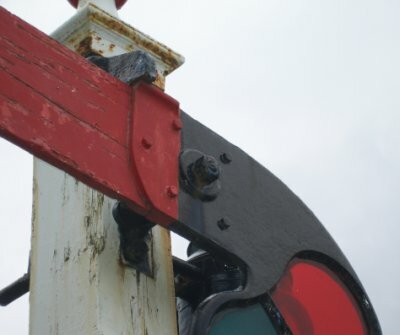 Modellers may want to note how the signal is operated, with the rod from the balance weight attached to the spindle at the REAR of the post, and not through a hole in the arm. 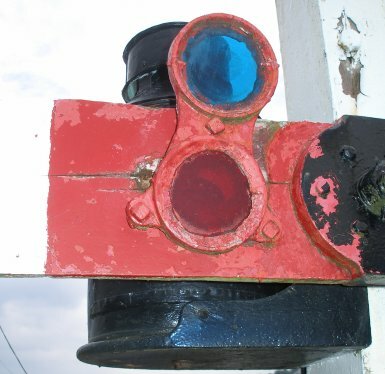 The gloss red applied in or around 2002 on top of the BR red is starting to flake, and the original BR paint is starting to show through. 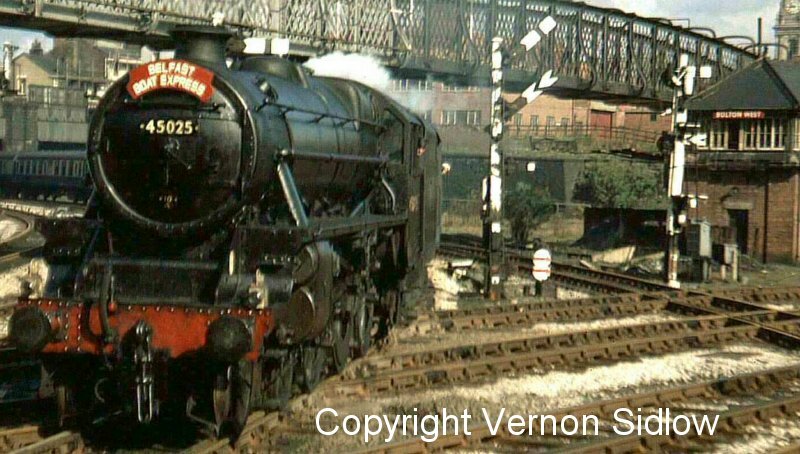 Finally, I'm very grateful to Vernon Sidlow for permission to use his photograph of Stanier Black 5 45025 entering Bolton with the last steam-hauled 'Belfast Boat Train' on Saturday 5 May 1968. 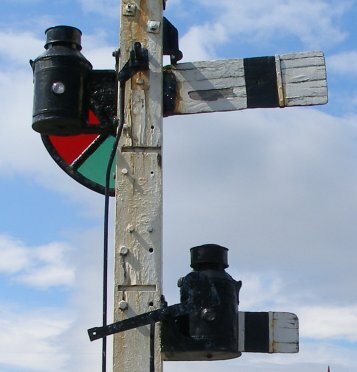 To the right, just in front of Bolton Wet box, is the signal in its original location. 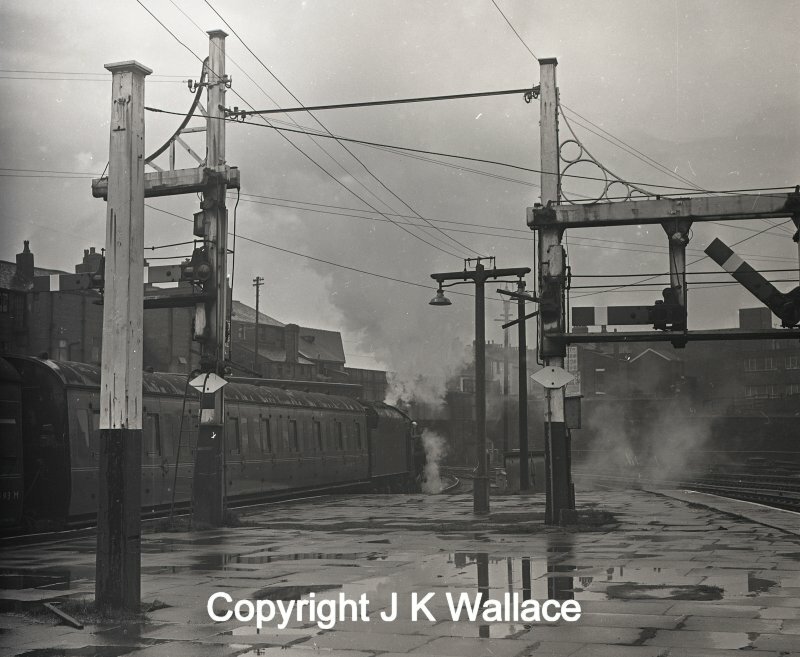 And whilst not strictly pure Raynar Wilson, this photograph by Eric Bentley taken on 23 April 1966 at 14:10 hrs captures the pair of bracket signals that controlled trains leaving the station for Preston and Wigan. Finally a view looking the other way showing the arrangement of tracks at the junction and signalling. 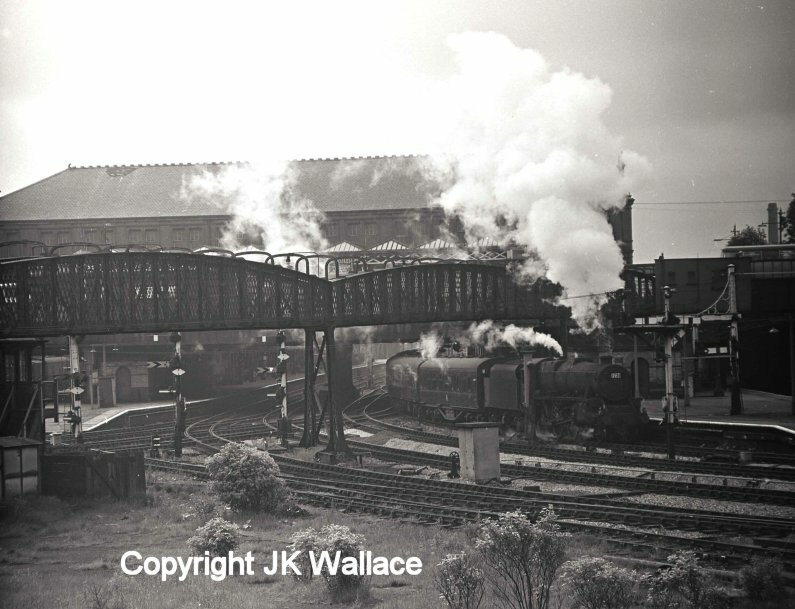 Train 1Z30, the 10.00 Kearsley – Morecambe Promenade holiday period special leaving Bolton Trinity Street at 10.15 a.m. on Saturday 25 June 1966 hauled by a Stanier Black 5. 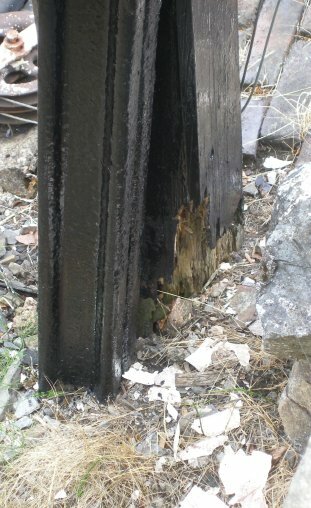 The main dimensions of the subsidiary arm are shown here. 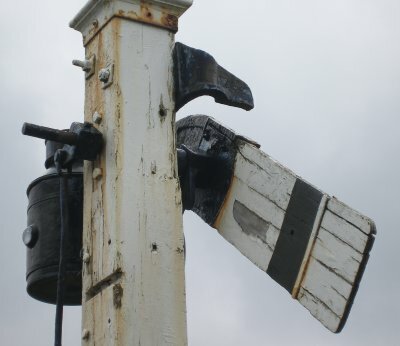 Note that due to the poor (rotting) condition of the arm, the spectacle plate has actually become detached and has rotated anti-clockwise by about 19 degrees.